Apple is in a bit of a pickle following years and years of steady growth in both smartphone shipments and overall revenue. The Cupertino-based tech giant is reportedly exploring various ways to avoid further drops in sales numbers, including a switch to an all-OLED iPhone lineup and a tardy but welcome USB-C adoption. Of course, the company may need to revise its business strategy in a more significant way than just upgrading this iPhone feature and replacing that port if it wants to regain its relevance in crucial markets like China or India. 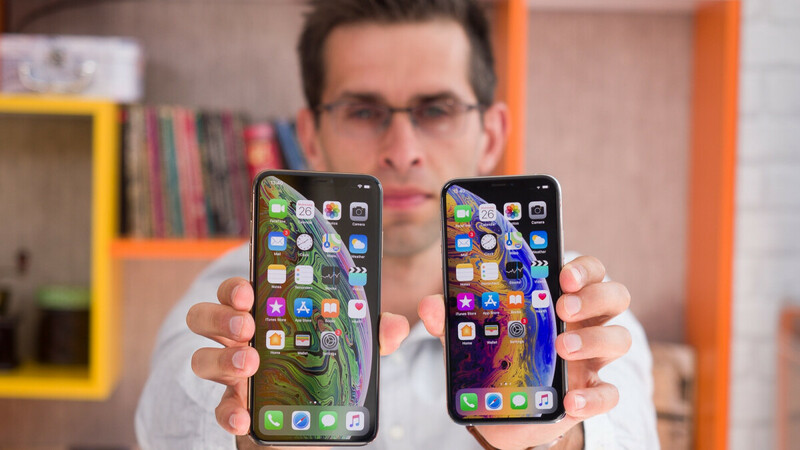 While the former remains a tricky land to conquer with no end in sight for a highly publicized recent trade war, Apple’s market share in India would no doubt be boosted by reducing regional iPhone prices. The easiest way to do that without lowering profit margins is to produce more iPhones locally, which is precisely what Apple wants to do... eventually, according to a new Wall Street Journal report essentially corroborating claims made by Reuters sources last month. All these “people familiar with the matter” expect Foxconn to start manufacturing high-end iPhones in India sometime in the near future, although plans are not awfully specific yet. The Taiwan-based company, which is Apple’s most valued assembly partner as well as the world’s largest contract electronics manufacturer, is still in the inquiry phase of this arguably massive undertaking, with senior executives planning a visit next month to discuss details with local government officials. India has been very open to attracting foreign investments this way over the past few years, embracing among others a different Apple manufacturing ally for iPhone SE and 6S production. This time, the goal is to move a presumably small piece of the production of “higher end, pricier iPhones” from China to India, which would kill two birds with one stone for Apple. The company could become less vulnerable to mounting tensions between American and Chinese governments while at the same time be able to better compete with budget-friendly flagships from brands like OnePlus in the enormous Indian market. They have to be ultra aggressive with their pricing as Indian consumers are now very tech savvy and knowledgable. They wont buy a high end phone blindly. I doubt they are any different people than anywhere else, it's just lot poorer country overall so obviously it's not good potential Apple market and never been. Then why is Apple not quitting the Indian market ? The market share clearly tells Apple that we really don't want anything to do with them , but they keep putting bad plans in place , trying to scrape up just enough of the Indian smartphone market to look good in front of their displeased investors. This time, for once, the proposed plan could actually work. If they are manufactured in India, they have to pay way lesser taxes. In fact, the sales could see a huge boost if they are priced the same as in USA. BTW, no such thing as phone subsidy contract in India. We have bad EMI plans or the phone priced at exorbitant rates. In fact, we probably are responsible for quite a lot of iPhone sales in USA/Dubai/wherever it is less expensive than India, what with us buying a phone there and bringing it back to India. Also curious to know which rich country are you from ? They'll probably increase sales but they will never compete with their current lineup and price structure. Simple things like bundled accessories could trip them up with the Indian consumer. Services are another potential problem since they nickle and dime there too. Apple's NEVER sold that many iPhones in India to begin with. Apple invested in a plant to build iPhone SE's in India to get around the tariffs that India has in place. This year Apple was going to build iPhone 6's in India. It's all for not in India, because there is a ton of competition in India. Home grown Indian smartphones, Chinese, and Korean smartphones all want a piece of the pie. The thing is Apple's other hardware is almost non existent in India. No HomePods, MacBooks are out of reach for the vast majority. To top it off nobody in India is locked into Apple's ecosystem. To sum it up Apple's fighting a losing battle trying to win the Indian wallets. Apple has always been about brand, and if Apple waters down it's brand for the Indian market, then it will have a major problem with the rest of the world looking on. But there is still a loyal fan following in India. People are holding on to their Apple devices for 3-4 years and are yearning for an affordable upgrade. Apple will do well to target those loyalists. The points you mentioned are also valid but they are directed more toward the people who would be new to the ecosystem. Apple, if I am not mistaken, will first want the brand fans to upgrade and later think about new customer acquisition. A tiny amount of people. Especially when Apple sold around a million iPhones last year in India. That is almost a drop in the bucket for India. You do realize India sells more smartphones to their population now than the United States. I'll sum it up for you Apple doesn't have a chance in hell. Especially at their pricing. That demographic exists everywhere, in all countries.Those 90% are not what Apple is targeting. Apple is targeting 90% of the elite/enthusiasts, and they are sufficient in number to improve Apple's current market share substantially. Apple are targeting those 90% who , say , got a Note 9. And a lot of folks have got a Note 9 in India. They have other flags ships as well. You have to realize with Apple's current pricing and sales tactics. Apple basically has a snowballs chance in hell of making any come back in India. It depends. Are they looking to be market leaders in the Indian smartphone market ? I don't think so, and if they do, then they are in for another rude shock. I think Apple right now is competing with themselves and no one else. That would be the correct strat for them for now..
You do realise that phones are not career subsidised in India. You can easily get 0 down and $15 a month for two years an iPhone 8 in US/ CA while you have to pay US$ 1000+ Outright to buy a iPhone 8 in India. Poor or not , most folks in North America can't afford to buy a $300 smartphone Outright let alone a $1000 phone. the Chinese smartphones will not let Apple advance because of the cost-benefit. Moreover, the consumer generally does not accept to pay what Apple charges on an iPhone. India is very different market than US and China the biggest factor is income and cultural. Hard to explain when come to culture in short, you can see why India and China very hard to get along.